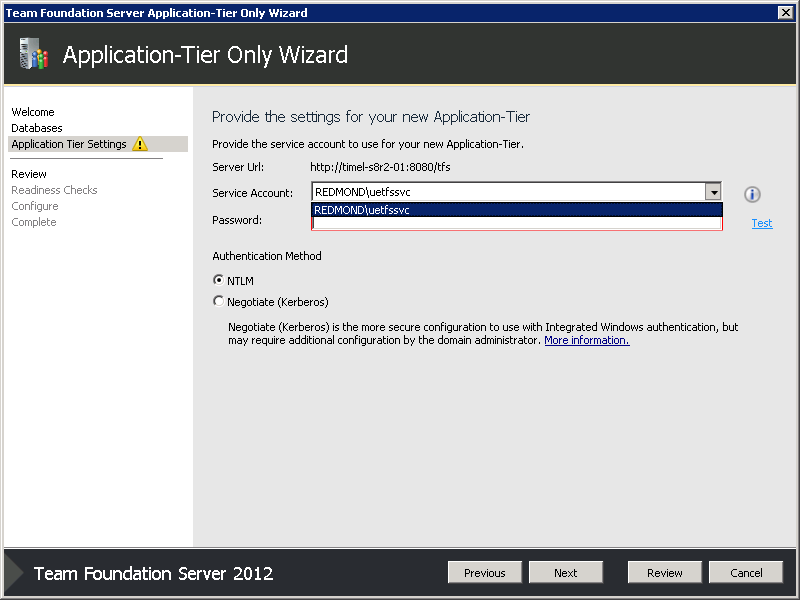 You’re adding an application tier to your TFS deployment and when you get to step 5, the step for selecting the TFS service account, you don’t see the account you want to use listed. What do you do? I saw this question come up in the customer feedback recently and wanted to take a stab at answering it here. While it’s not clear to me where this list of accounts comes from, I know how to add an account to it. Use the TFSconfig command to add a user from either the existing AT or the soon to be configured AT and you will be able to use that account for configuring the new AT. If you run TFSconfig from the AT that is not yet configured, you will need to supply the /sqlinstance and /databasename parameters. 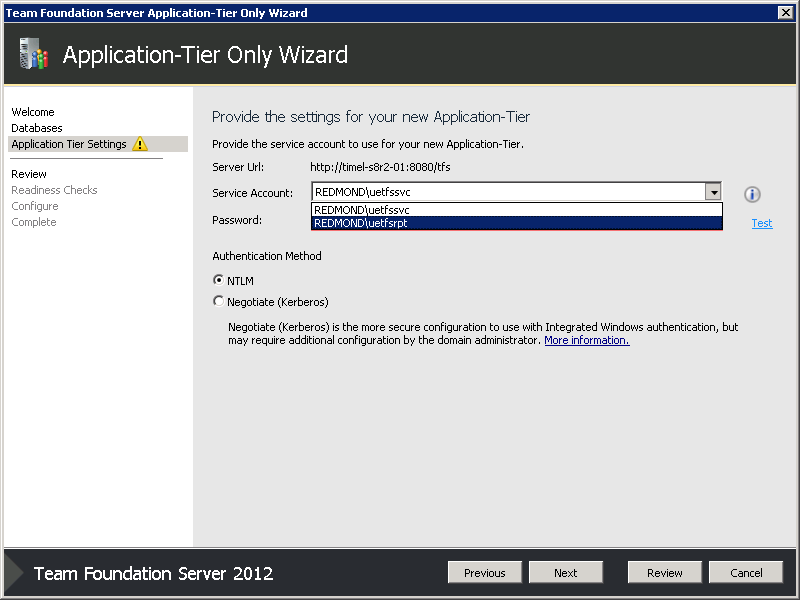 If you still have the Application Tier Only wizard running, cancel out and restart it. When you get to the Application Tier Settings page, the account you added with TFSconfig will be listed. Categories: Tips | Tags: add an at to tfs, IT Pro, tfs administration, tfs installation, tfs server managment, tips | Permalink.